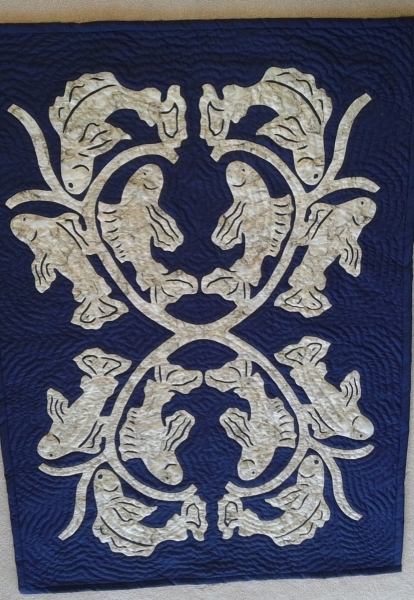 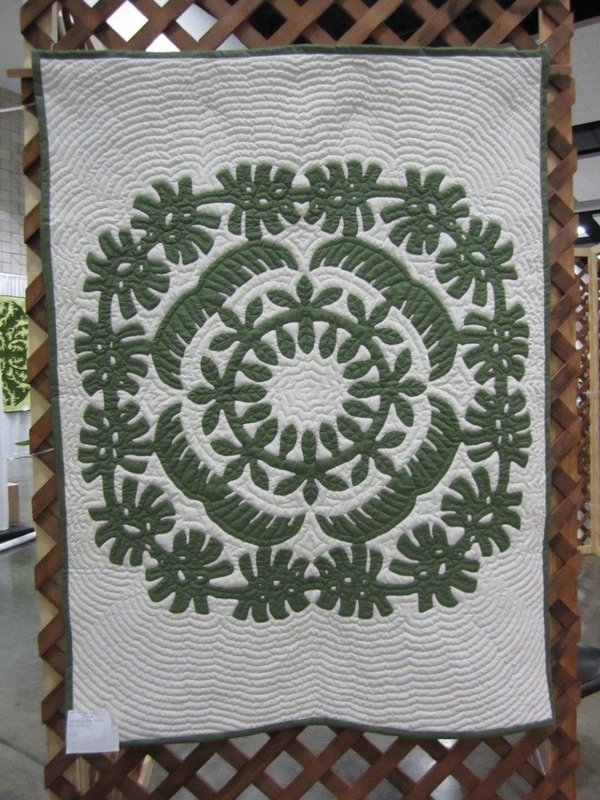 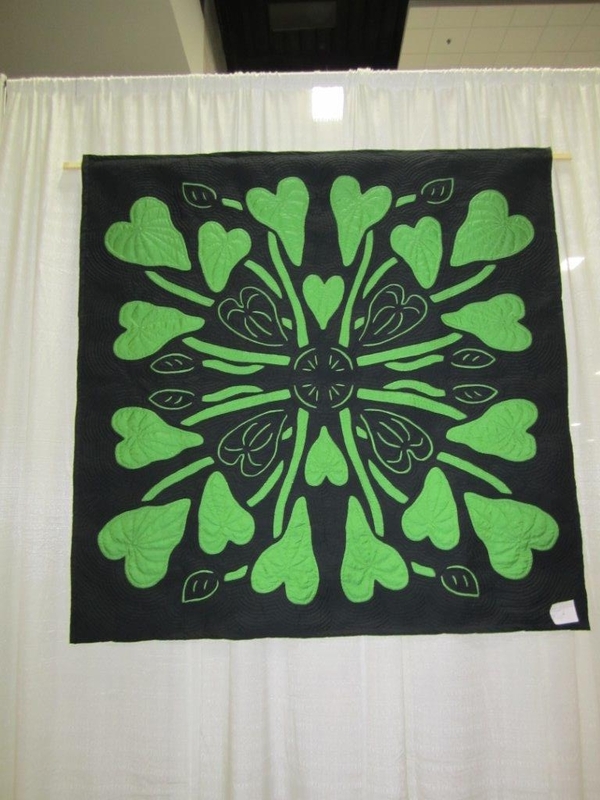 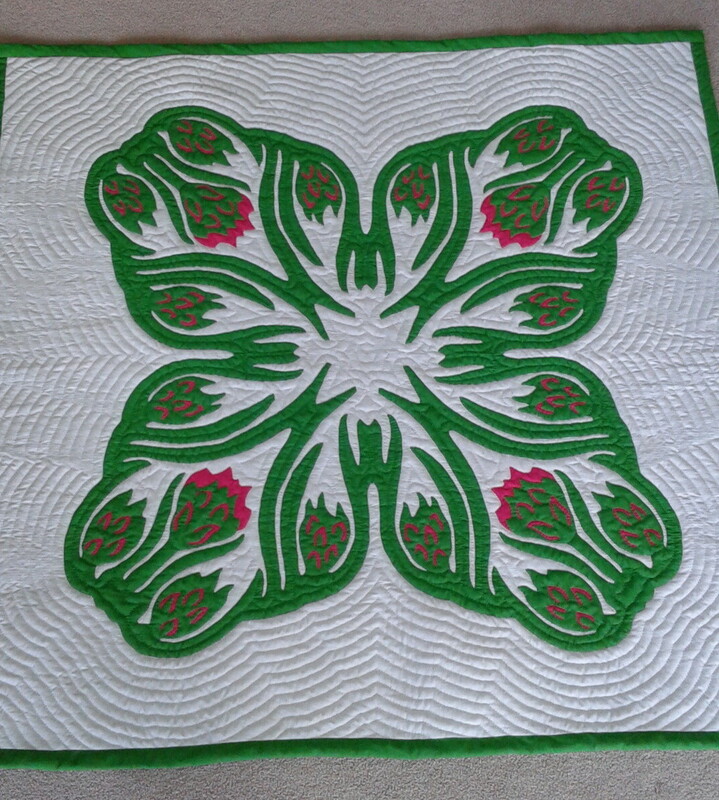 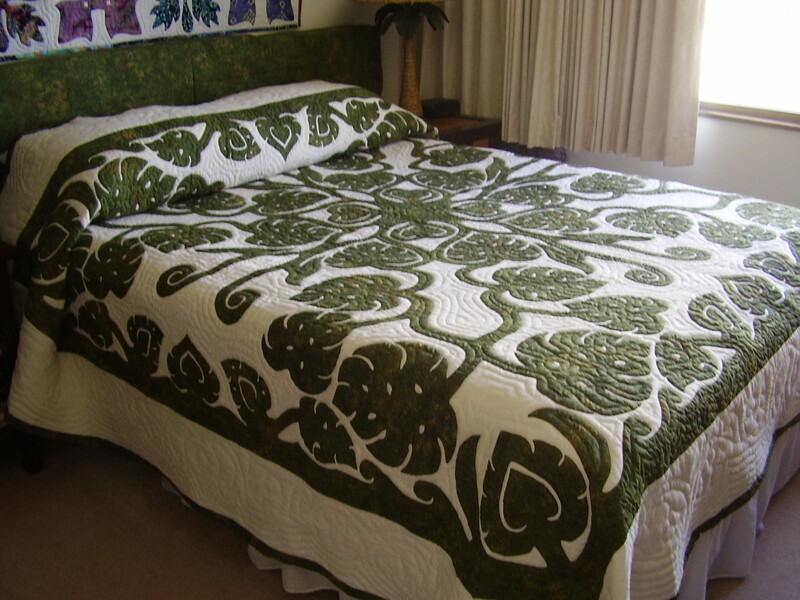 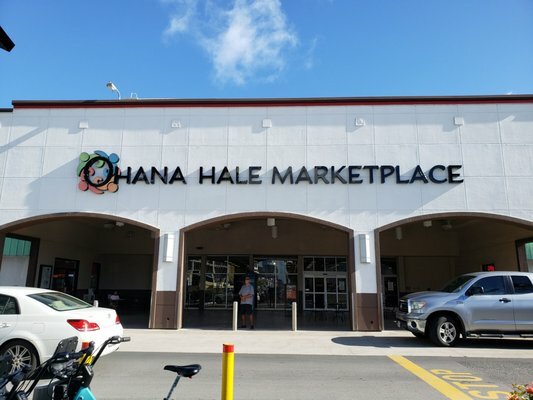 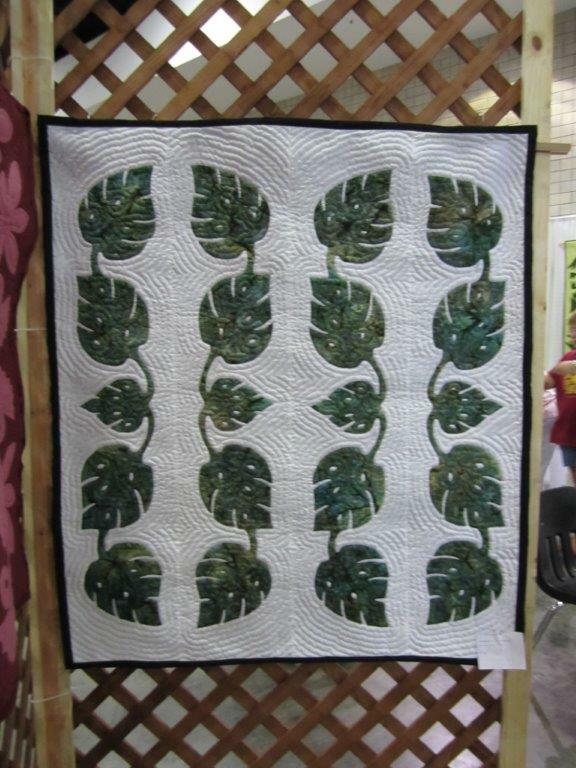 Amazing Quilts - Pomaika'i Blessing - Hawaiian Quilting With Poakalani & Co.
John said this was one of the easiest quilts he designed. 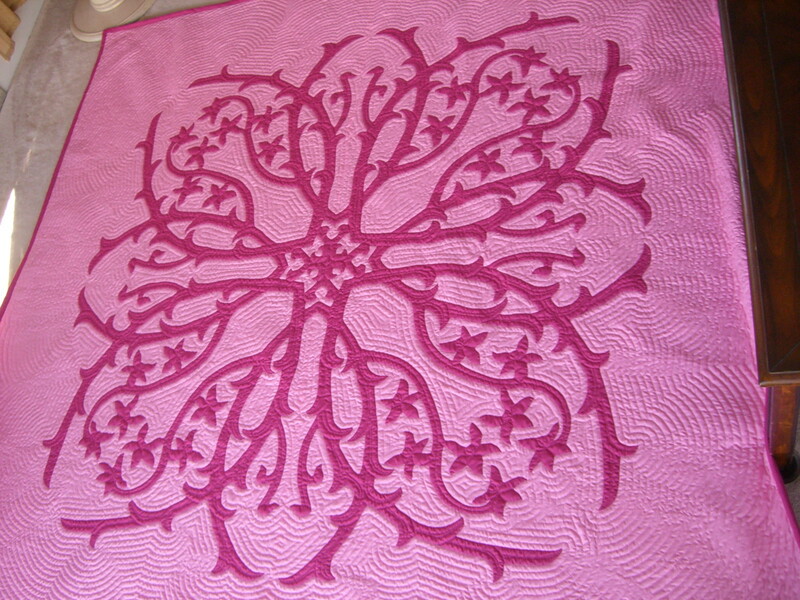 All he thought of was his quiet and smart granddaughter and her compassion for helping others, hence the hearts. 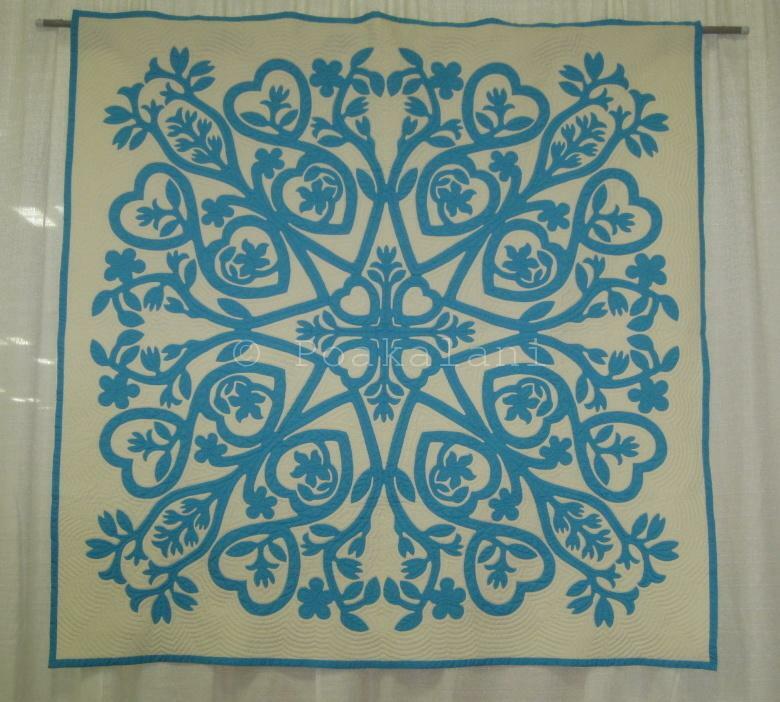 The color blue was chosen for the design because of course it’s Missy’s favorite color but by also choosing a solid dark color and a white/off white background the design becomes the focal point. 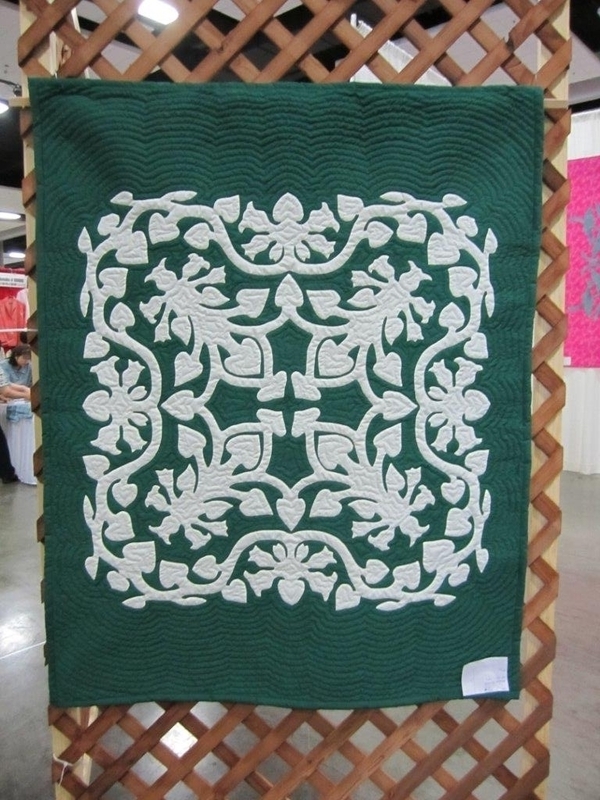 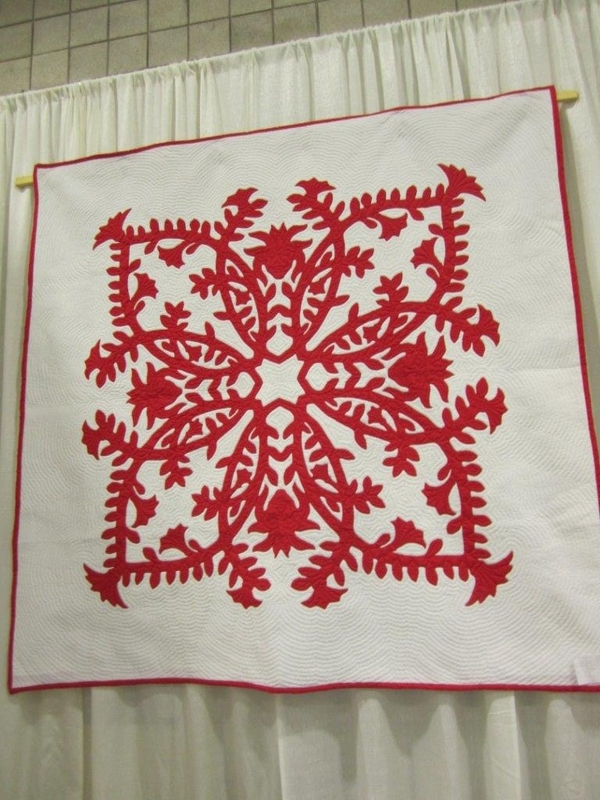 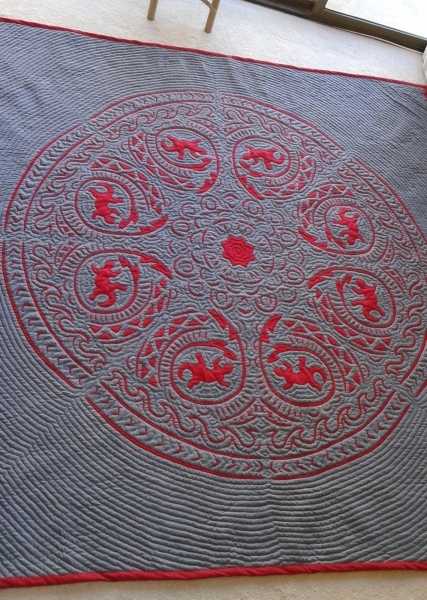 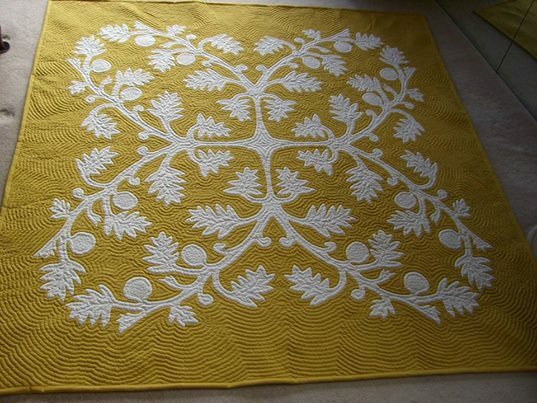 Like we say in the quilting world the design pops from it’s canvas showcasing the amazing design.